The New Castle County Police Department 's "Cloud View Project"
In New Castle county, Delaware the New Castle County Police Department may make a (fairly large) investment of $52,000 in what the county is calling the “Cloud View Project.” The $52,000 is slated to be used to pay for travel and entertainment when the department sends staff to attend an unmanned aerial vehicle convention to search for the right drone model, training for four employees and all the drone-related equipment and spare parts. According to Police Capt. Pat Crowell, the “Cloud View Project,” using drones, will be versatile, potentially helping in identifying missing people, surveying public areas in advance of large gatherings and investigations. Police Capt. Crowell supports the project, he said, “With something like an outdoor crime scene or a fatal car accident, getting an aerial view can be a critical piece to what happened.” While there is that initial $52,000 of taxpayer money to swallow, drones are the economical solution when you consider the agency currently calls in a State Police helicopter for aerial work. Really big helicopter, really big costs, tiny drone, tiny … well you get the idea. 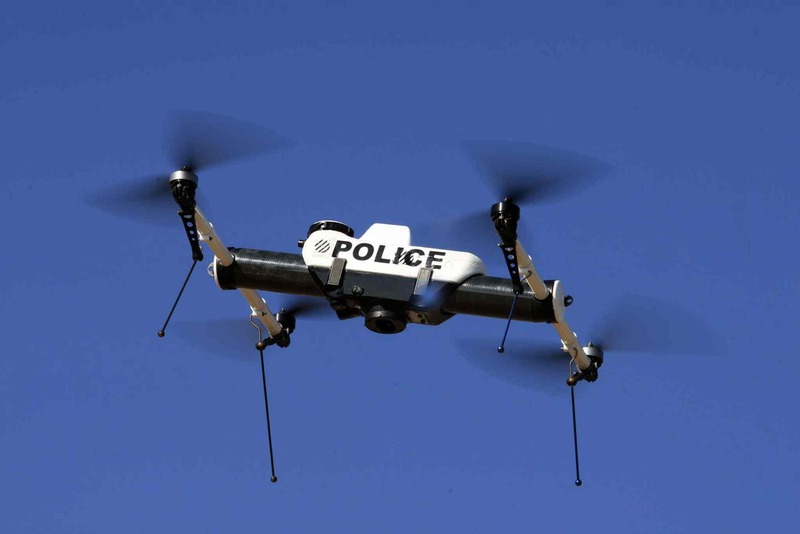 A drone may be the next tool in the New Castle County Police Department equipment arsenal, joining new officer body cameras and other technology. The County Council by the end of the month is expected to vote on spending $52,000 to buy an unmanned aerial vehicle, which will be able to beam police images of emergency situations or for use in surveillance.